I can still feel the remnants of the amazing adrenaline rush this book has given me. Boy Nobody is the perennial new kid in school, the one few notice and nobody thinks much about. He shows up in a new high school in a new town under a new name, makes a few friends, and doesn't stay long. Just long enough for someone in his new friend's family to die-of "natural causes." Mission accomplished, Boy Nobody disappears, moving on to the next target. He's the perfect man to do the job. He's nobody. He blends in, becomes your friend, someone you trust, and the next thing you know your mom or your father or your sister is dead. That's him, and he's just a boy. Benjamin (not his real name) has lived the life of a cold-hearted assassin for four years. He has nothing else to live for. His parents are dead and he has been trained to kill since he was twelve. But Benjamin has started to wonder: when will this end? When does he have to stop killing? Then he meets a girl in his new mission, and she's not what he expects, especially her father who is Benjamin's target. Before he knows it, Benjamin has started doubting his mission, craves to become normal, and the little changes being made has made him suspicious. But how does one get out from The Program with his life still intact? It felt exhilarating to get into the mind of an assassin, and with a mind such as Benjamin, there was never a dull moment in this book. He was just a boy who trusted the one person who ended up betraying him and the next thing he knew he was an orphan, given a choice to die or start killing people. How does a twelve year old get through that traumatic experience? By becoming the perfect killing machine. Benjamin might follow his mission to the letter but he is still human, and no matter how much he fights it memories and feelings surfaces at the most unexpected of times. Piecing his past together with the present is a delight for me. It gave me the chance to know Benjamin in a deeper way and made me understand him just a little bit more, why he had to be distant, sometimes cruel, unfeeling. It was the only way he knew to survive. It's what made him the perfect assassin. He had to grow up living a life filled with blood and violence, and the experiences he's had made him sound so much older than he is, which is somewhat sad. He could have been a jock, a great student, but it was never going to happen now. I've second guessed a lot of characters in this book, and Samara was one of the most consistent characters in it, one of the very few you'd think of as the villain. She was passionate about a lot of things, fights for what she believes in and despite being the daughter of the mayor, goes out of her way to prove that she cannot be defined by the wealth and power surrounding her. Sam had her fair share of heartache and tragedy like Benjamin, and that forged her character to become headstrong, sometimes stubborn and intense, but she wasn't someone you'd easily dislike. In some ways she was similar to Benjamin, someone who doesn't fit in, lost, someone who had to grow up before they had the chance to enjoy life. I give kudos to the author for giving her character such an unexpected angle that blind sided me before I realized how it made everything fall into place. The plot was brilliant! It's reminiscent of Jason Bourne at times, but the very presence of Benjamin's character as Boy Nobody and the reason why he became the way he is gave this book a different spin. Allen Zadoff fashioned Benjamin in a convincing way from the short, staccato sentences, down to his different observations of everything around him both as a teenager and as an assassin and it's that combination that makes him so interesting to read. 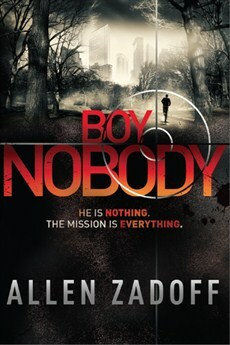 Add to it characters with questionable identities like 'Mother' and 'Father', espionage, mystery and a thrilling story and you get Boy Nobody, which is one heck of an entertaining read. It was easy to sympathize with the characters, but what pulled me in to this book deeper and deeper with each turn of the page was the amazing storytelling by Allen Zadoff. It's like watching an action movie but I'm leafing through the pages of a book. Highly engaging, tension filled and very fast paced. You'll just find yourself holding your breath at certain moments and yet you don't want to stop reading. Convincing, from the coded messages and conversations, the significance of withholding Benjamin's real name and his real identity, to that moments of confusion, when Benjamin decided that he wants to be normal, for everything to stop and then the truths and realization that sets in and you find yourself understanding the whole story as secrets are revealed one after another. It's got a great balance of romance, action and mystery that just gets to you as you read on. I finished reading this book in two and a half hours and I think it's just amazing. There's no other word to describe it. Please, if you can grab a copy of this book once it comes out, do yourself a favor and read it. Don't miss out on this thrilling story! It's such a 'boy' sounding book but it definitely came as a surprise when I found myself enjoying this story a lot. I loved that it left me guessing until almost the end, and that the story continues after you flipped through the last page. There was just a little twinge in my heart when what happened just happened. Sam! Definitely one of my favorite covers this year! Why do you always write reviews that are so convincing? Now I can't wait to read this book. Great review! Wow, getting inside the head of a modern assassin? I need this. Awesome review, Kai! This is one that sounded really good to me. Your review is inspiring. I hope I get approved for a copy, but I'm not holding my breath. 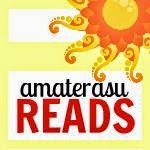 Great review... going to read it now. A teenager assassin working for a secret office? Who will suspect. I would love to read this book soon. All the secrets, the atmosphere full of powerful people and the Bourne thing make it more appealing to me. I also watched the trailer for the book and the wealth and dark scenes made me love the book since then. Allen Zadoff departs from form in this book to write a dark, suspenseful thriller starring a 16 year old contract killer. Satisfyingly packed with gadgetry and spy jargon, this book still has the heart and emotions of Zadoff's other YA novels, introducing a complex antihero who answers to a shadowy covert ops authority. This is the first in a series - looking forward to book two! I love getting comments from my readers and fellow bookworms, and I try my best to respond to all of them. Feel free to give me a piece of your thoughts. Also, this is an award-free blog. I simply don't have the time to highlight them anymore, but thank you for thinking of my blog!